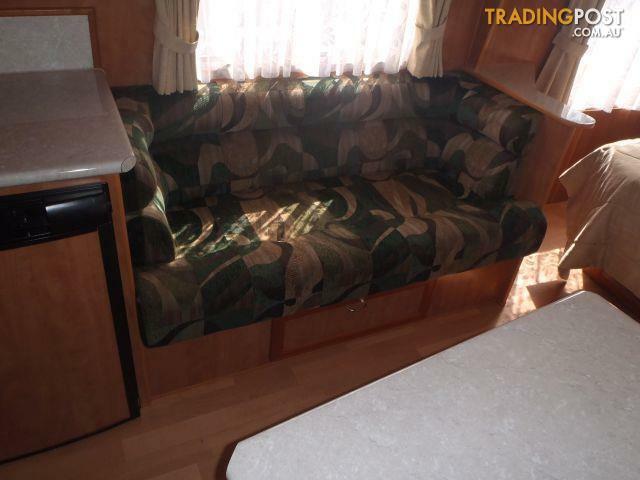 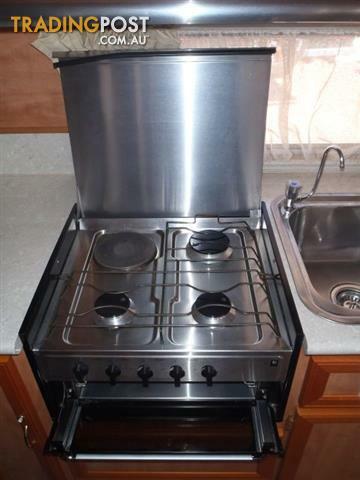 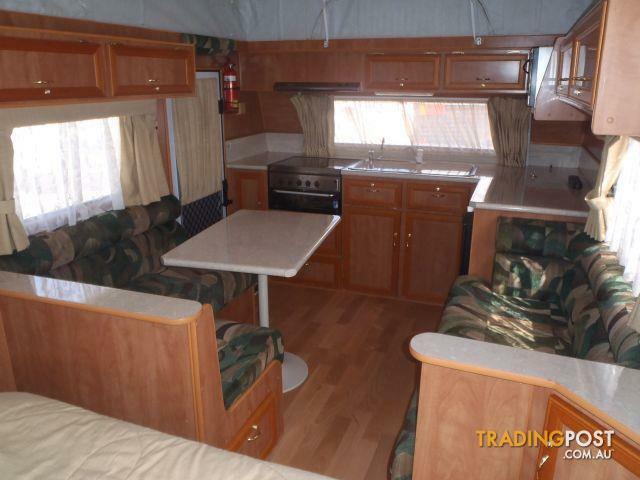 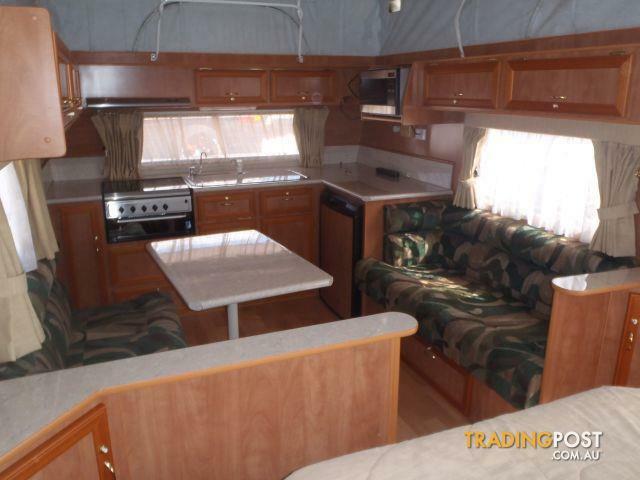 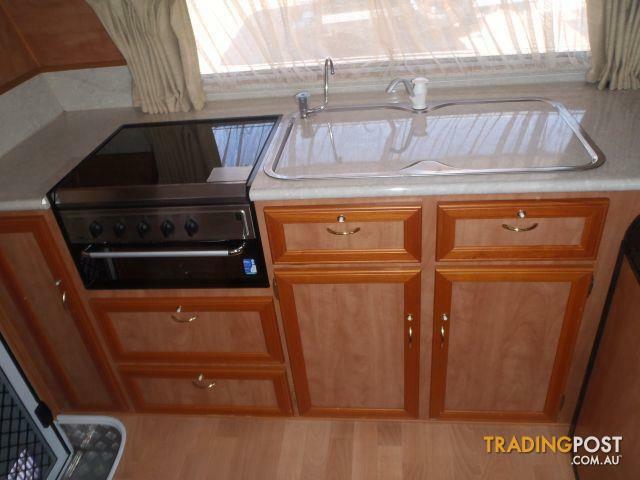 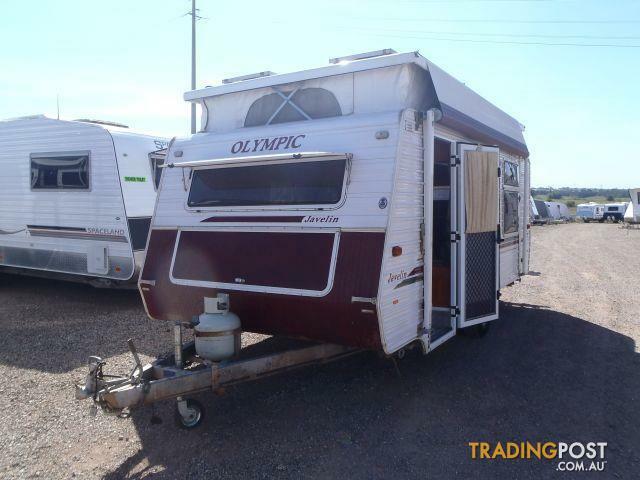 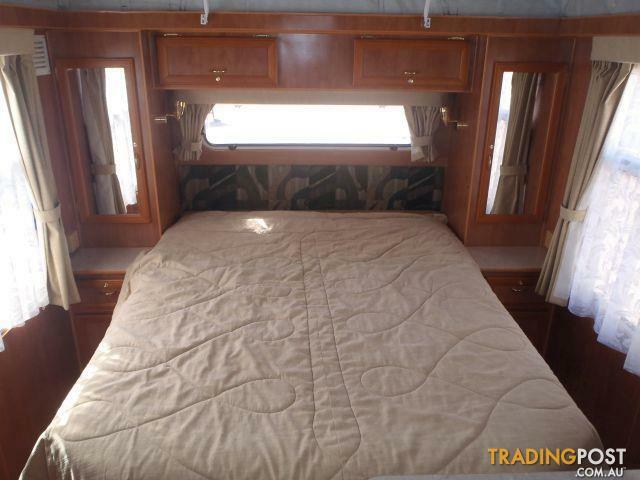 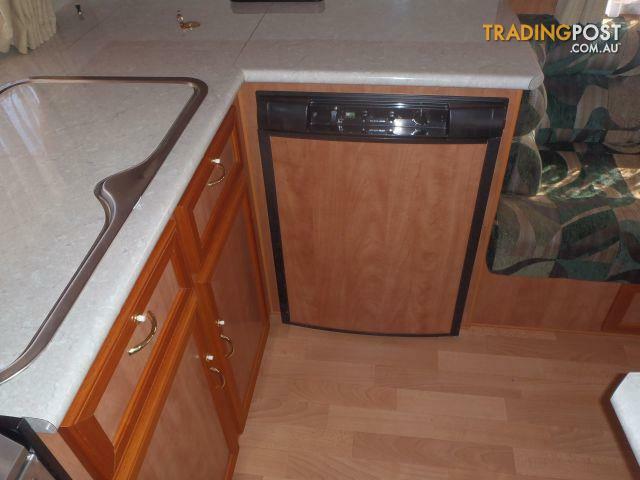 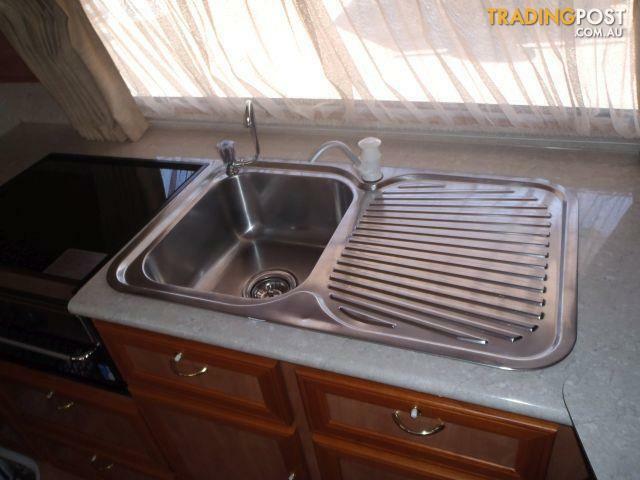 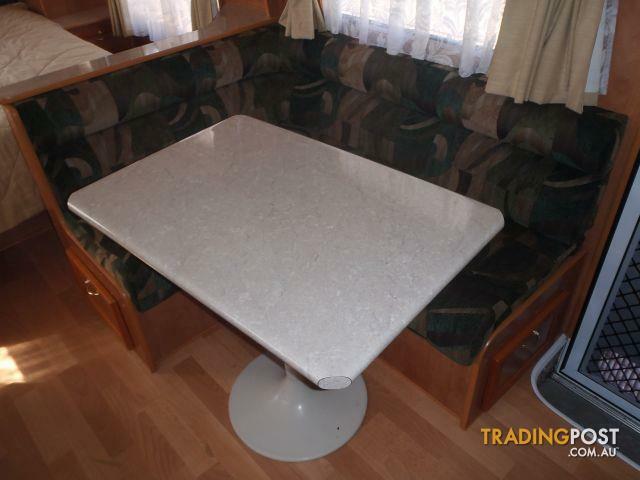 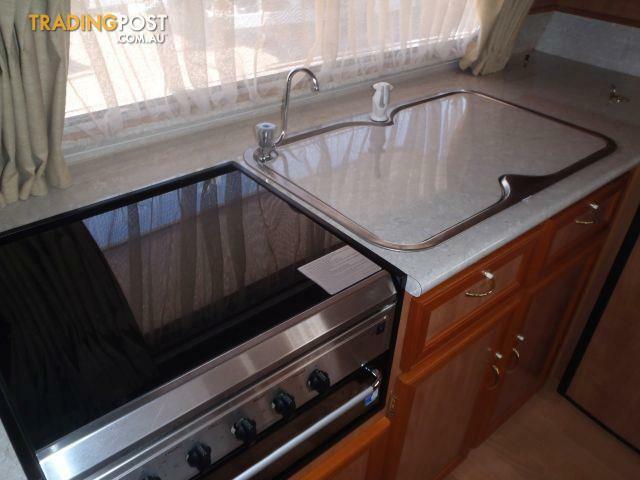 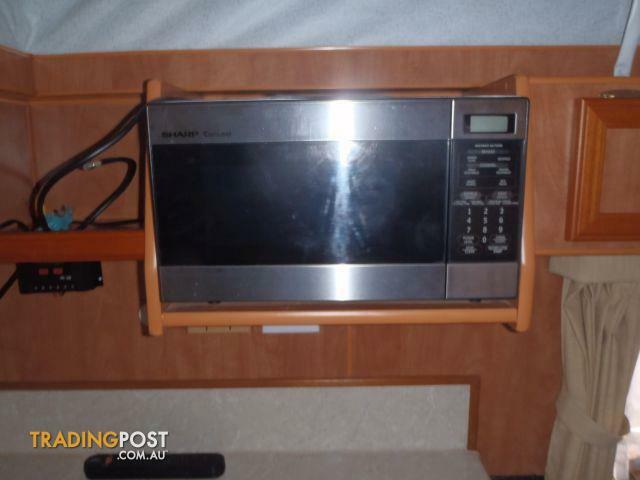 2009 build Olympic Javelin 16&apos; PopTop caravan featuring a front kitchen equipped with cooktop 3 + 1 + grill, 90 Lt 3-way fridge and microwave, with a centre L=shape dinette and lounge opposite. 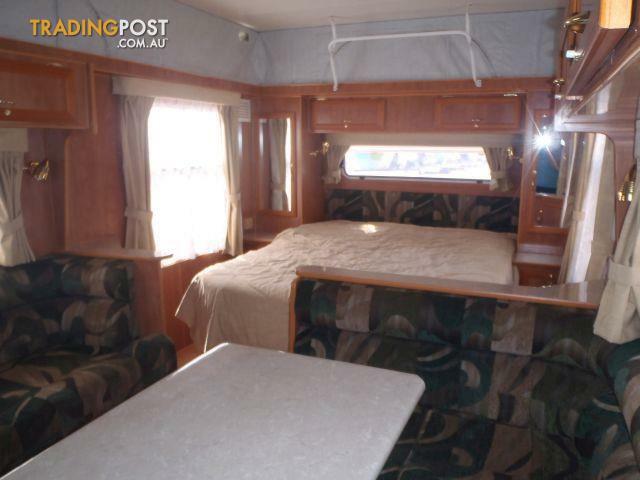 It has a rear island double bed and is fitted with a roll out awning which comes with walls, jerry can holder, battery pack, 2 x 80W solar panels and picnic table. 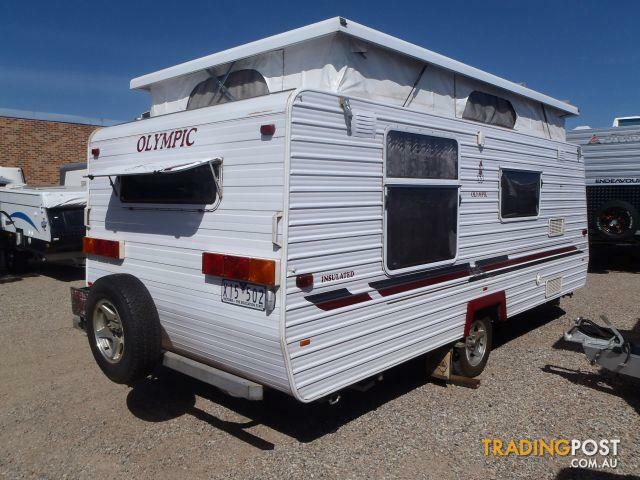 Sale Price: $22,500 Tow Away from Parravans!